Anyone that has made the pilgrimage to the annual Sturgis® Motorcycle Rally™ in August knows that there’s no shortage of things to do and see in the Black Hills. If you’ve never been there before, you’re in for a visual delight—the Black Hills offer some of the most beautiful motorcycling scenery in the country! 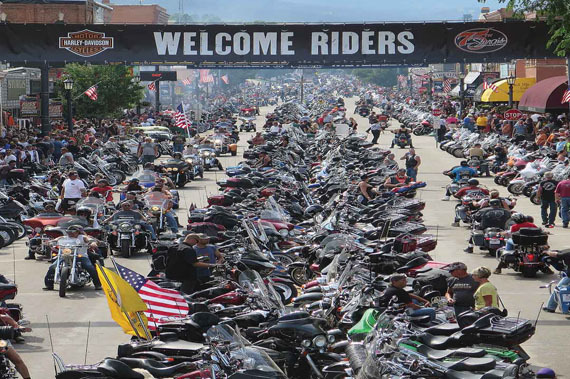 We’ve put together a top-10 list of must visit places and must-ride roads in and around Sturgis. From state parks and national monuments to historic landmarks and amazing wildlife, there’s something for everyone in the Black Hills. Iron Mountain Road -- Officially a part US Hwy. 16A, Iron Mountain Rd. winds between Mt. Rushmore and Custer State Park. 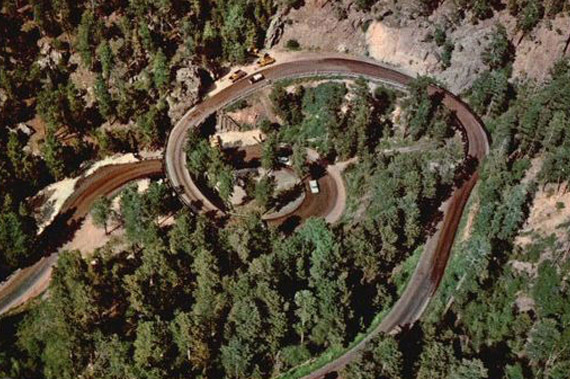 With mountains and valleys as its backdrop, this road was specifically designed with a tremendous amount of curves, including a whole lot of switchbacks that deliberately limit the speed to 35 miles max. The route includes the Pigtails—a series of stacked wooden bridges and one-lane tunnels that is as challenging a ride as you’ll find in the Black Hills. Needles Highway -- Deemed “impossible” to construct by its critics, Needles Highway (also known as South Dakota Hwy 87) was completed in 1922 and includes 14 miles of sharp turns, low tunnels and incredibly impressive massive granite spires. 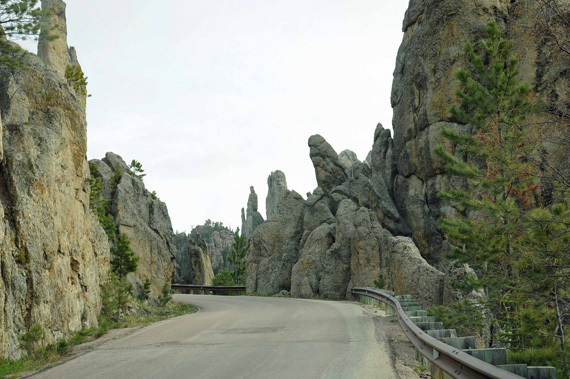 The road lies within the 73,000-acre Custer State Park, just 30 miles south of Rapid City. Mount Rushmore National Memorial -- No, you won’t find a lost city of gold beneath Mt. Rushmore National Memorial despite the best efforts of Nicholas Cage, nor is there a lake on the backside of the sculpture. 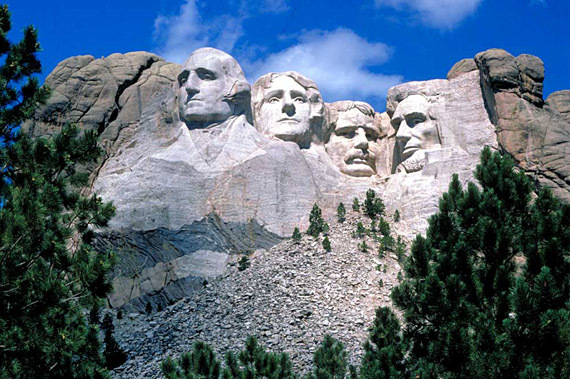 What you will find, however, is a magnificent tribute to four of America’s greatest presidents. Yes, it’s a controversial site especially considering the way the land was taken from the Lakota people after the Great Sioux War of 1876, but it’s an amazing monument nonetheless. Take US Hwy 16A (Iron Mountain Rd) south from Keystone; then head west on Rt. 244. 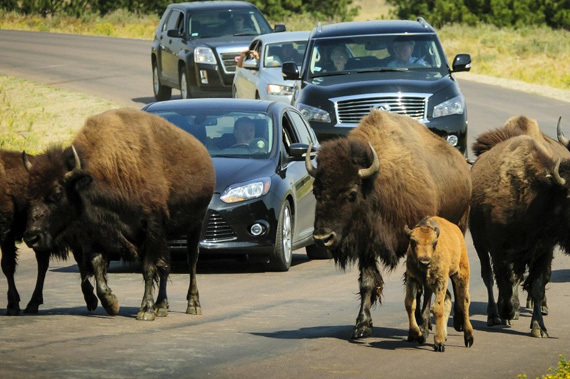 Custer State Park Wildlife Loop -- Want to get close to nature? Like so close you can feel the bison breathing on you? Then the Wildlife Loop of Custer State Park is for you. Traveling through 18 miles of open grasslands and pine-speckled hills that much of the park’s wildlife calls home, the Wildlife Loop will bring up close and personal with many of the wild species that call the Black Hills home. Depending on the day, you might see bison, pronghorn, whitetail and mule deer, elk, coyotes, burros, prairie dogs, eagles, hawks, and a variety of other birds. A medley of colorful wildflowers and prairie grasses surround the road, making for a picturesque ride. The Wildlife Loop runs through the park between Rt. 87 and US Hwy. 16A. And please, don’t try to pet the bison. Spearfish Canyon -- Thousand-foot-high limestone palisades are just part of what makes Spearfish Canyon so breathtaking. Waterfalls, dense woods, amazing wildlife and fun-to-ride twisting roads all combine to make this one of the Black Hills best places. The 22-mile journey begins at Exit 10 or Exit 14 off Interstate 90 in Spearfish and connects to the mouth of the canyon at the Spearfish Canyon Country Club. From the other end, turn at Cheyenne Crossing outside of Lead at the intersection of Highway 85. From there, travel 20 miles through some of the most breathtaking scenery you’ll find. It’s only 35 mph through the canyon, and it’s closely monitored, but with this much scenery you’ll not want to be speeding anyway. Devil’s Tower -- You know it because of Close Encounters of the Third Kind, but there’s so much more to this National Monument. 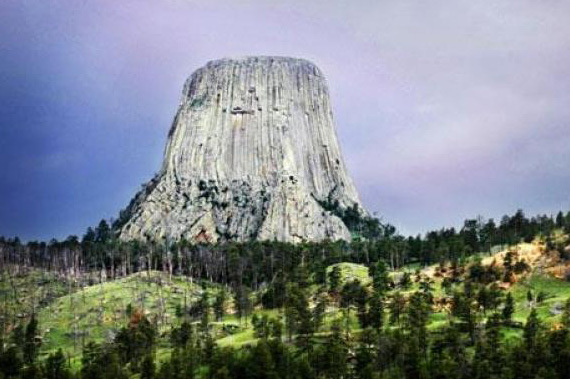 Devils Tower, which looms more than 1,200 feet above Wyoming's eastern plains and the Belle Fourche River, is a one-of-a-kind natural wonder. The flat-topped volcanic formation is found amid some of the state's most beautiful country, leaving you plenty to do after you behold its otherworldly presence. It’s just a short ride west into Wyoming. Take U.S. Hwy 14 out of Sundance; then hang a right onto Rt. 24 in Carlile Junction. Roughlock Falls -- Roughlock Falls is spectacular to view and photograph, and designated walking paths and hiking trails provide the opportunity to explore. Bird watching, wildlife viewing, fishing and picnicking can all be enjoyed in the nature area. Roughlock Falls is also one of the few places in the Black Hills to observe the rare American Dipper, a bird that can both walk and swim under water. 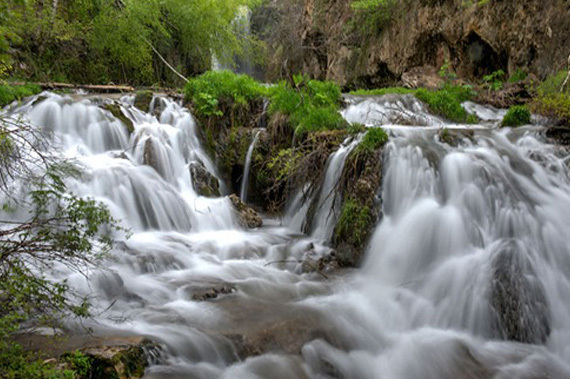 Take US Hwy 14A (Spearfish Canyon Rd) to Savoy; then turn west on Forest Road 222 (otherwise known as Roughlock Falls Rd). If you don’t mind some gravel riding, head past the falls and you’ll find yourself at the site of the winter camp from the movie Dances With Wolves. Keep you eyes open for long abandoned (though now sealed up) gold mine entrances form the late 1800s. 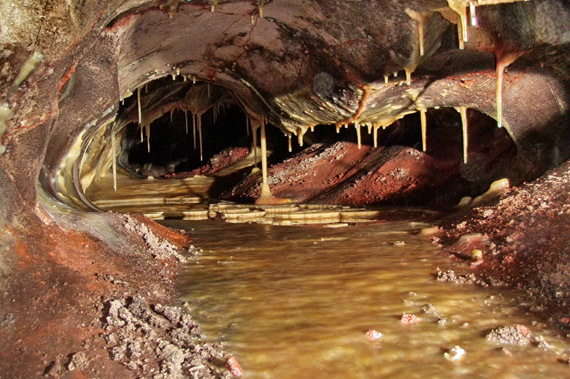 Wind Cave National Park -- The first cave to be designated a national park, Wind Cave National Park features the world’s largest concentration of rare boxwork formations along with a 28,295-acres of South Dakota wildlife sanctuary on the surface. It’s located just south of Sturgis and north of Hot Springs on US Hwy 385. Crazy Horse -- If you think Mt. Rushmore is impressive, wait until you see the Crazy Horse Memorial. 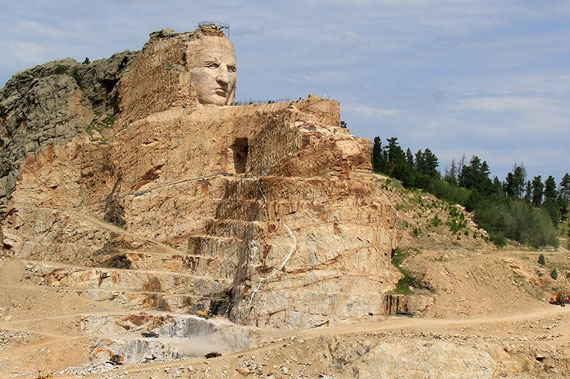 Still under construction, the monumental sculpture is a tribute to Crazy Horse and to all Native people. The mountain on which it’s being created is 6,532 ft.—the 27th highest mountain in South Dakota—and it was specifically chosen by Boston-born sculptor Korczak Ziolkowski and Lakota Chief Henry Standing Bear for the Crazy Horse Memorial. To find it, just head north out of Custer on US Hwy 385. 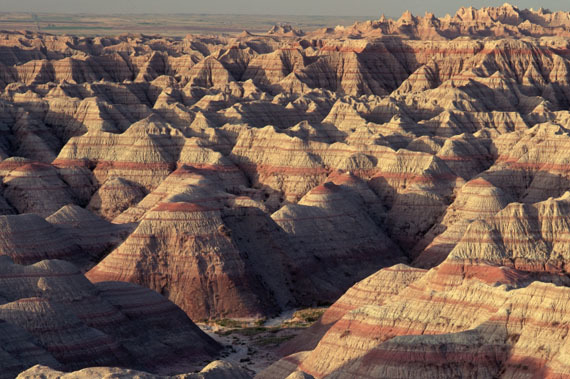 Badlands -- If you’re looking for an adventure outside of the mayhem of the Sturgis Rally and the Black Hills, head east to Badlands National Park. Take I-90 east from Rapid City; then head south at the town of Wall. These striking geologic deposits contain one of the world’s richest fossil beds. Ancient mammals such as the rhino, horse, and saber-toothed cat once roamed here. The park’s 244,000 acres protect an expanse of mixed-grass prairie where bison, bighorn sheep, prairie dogs, and black-footed ferrets live today. It’s as impressive a landscape as it is eerie. 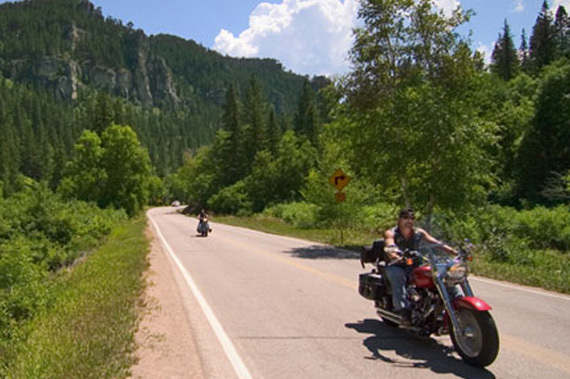 Need a motorcycle for your Black Hills Adventure? Shop CycleSoup.com now for your next new machine.